The RF-10AXL, Shimadzu's newest fluorescence detector for HPLC, offers a refined optical design for the ultimate in high sensitivity detection. This unit offers an improved Raman signal-to-noise ratio of 300 for excellent sensitivity, improved wavelength accuracy of ± 2.0 nm for strong between-unit consistency. A newly developed ratio system compensates for lamp intensity fluctuation and provides superb noise characteristics. The RF-10AXL features other enhancements including a new remote lamp on/off function to allow lamp shutdown upon run completion, and a new rugged flow cell design with elevated back-pressure tolerance and backward compatibility with the RF-10AXL. 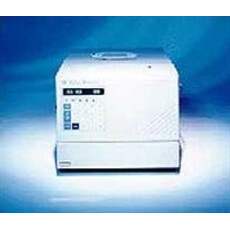 Find online auctions and classified ads for Fluorescence Detector for HPLC and related scientific equipment on LabX. Sometimes referred to FL and FLD these units feature high sensitivity fluorescence detection for quantifying low concentrations of target compounds. Fluorescence is a non-destructive way of tracking and / or analyzing biological molecules. Look for units from Agilent, Waters, Hitachi, HP Varian, Shimadzu, Jasco, DIONEX, Perkin Elmer, Rainin, Gilson and more.